InterContinental Fiji Golf Resort & Spa recently launched a new environmental project. 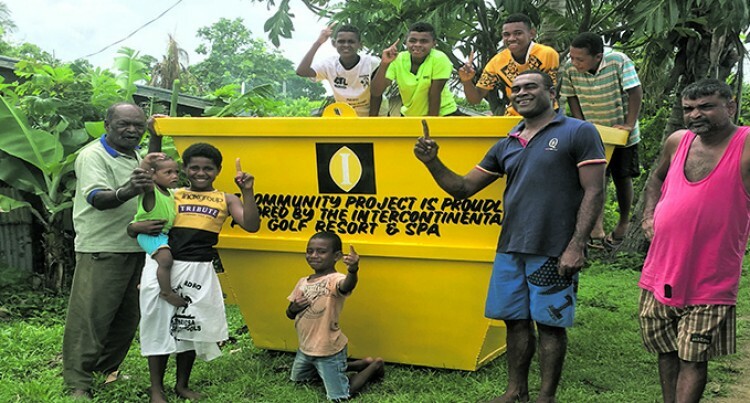 This involves the installation of skip bins at strategic areas around the Natadola Bay community to emphasise the importance of keeping Fiji’s natural environment pristine. One of two iconic Fijian hotels owned by the Fiji National Provident Fund (FNPF) and managed by InterContinental Hotels Group (IHG), the InterContinental Fiji Golf Resort & Spa provides services that go beyond the world-renowned Fijian warmth and hospitality. InterContinental Fiji Golf Resort & Spa is part of the Intercontinental Hotel Group with over 5000 and 744,000 guest rooms in nearly 100 countries.